Imagine going on a treasure hunt while your group is here on a retreat! 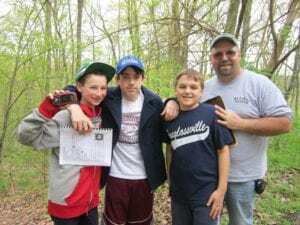 This program will teach students how to use a GPS, then allow teams to practice finding geocaches hidden around the grounds. What is geocaching? Geocaching is a world-wide game involving a GPS receiver used to locate a “cache” that was hidden by another person.